You are here: Home > Faculty Members > Leadership and Human Resource Department > Antonette Palma-Angeles, Ph.D.
Antonette Palma-Angeles is Professor of Philosophy at the Ateneo de Manila University where is currently Vice President for the Professional Schools. She is one of the convenors of the Ateneo Leadership Institute and lay co-chair of the Jesuit Higher Education Leadership Program. She was Ateneo’s Academic Vice President from 1998 to 2009. She has been a visiting professor at Japan’s Kyushu University and Kyoto University. She has years of experience as leadership and ethics consultant. She is currently co-chair of the Ethics Committee of The Medical City and chair of its Ethics Transplant Committee. 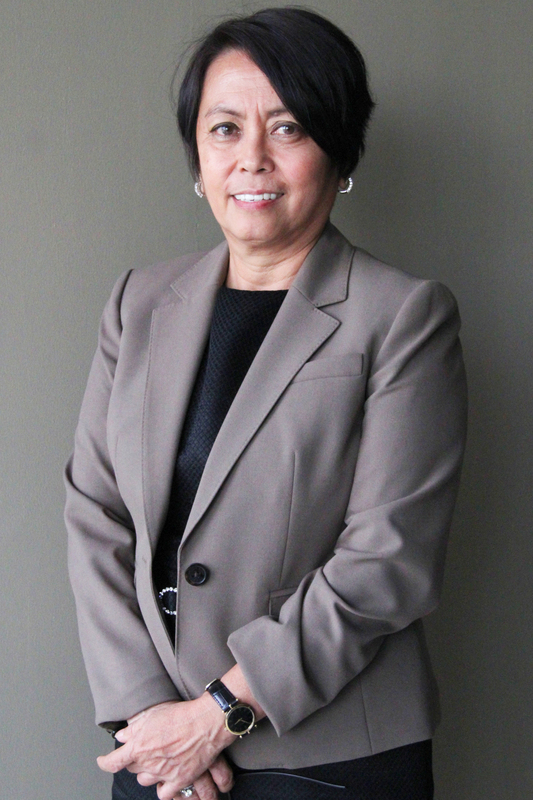 She is a trustee of the Ateneo de Naga and Board member of the US-based Colleagues in Jesuit Business Education (CJBE). Her current research interest is defining Filipino leadership. She received her PhD from the Katholieke Universiteit Leuven in Belgium.